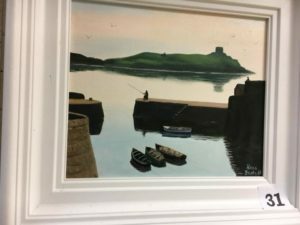 The Dalkey Community Council’s Annual Art Exhibition will take place in Our Lady’s Hall, Castle Street, Dalkey from Friday 9th to Sunday 11th November 2018. Entry forms, together with full payment, must be submitted by post (no entries will be taken at the door) to Dalkey Community Council, Art Exhibition, DCC Postbox, Our Lady’s Hall, Castle Street, Dalkey, Co Dublin, no later than 26th October. There will be a charge of €5 per picture and a commission of 10% will apply to all sales.